Here you can find information about the participants of our hosting projects. The weekly reports allow us to understand what are the tasks of our participants in their work placements, what they like about their work and how they are improving. They also give us a briefly view of their life in Slovenia, describing what they like to do in their free time. ​Lucie comes from Czech and her work practice takes time from 27.9. 2018 to 27.4.2019. She is working at elderly home Dom Danice Vogrinec - or as she would say it, this is not really working as she loves her job it as much as it was her free time. She is helping elderly with breakfast and lunch and also carries out social activities. This week was special because of St. Martin day, as there were even music bands visiting the Elderly home and performing in the afternoon. Lucie says she really enjoyed it. Her biggest challenge is understanding Slovenian as she would like to communicate more with users of the Home. She is attending a Slovenian language course and therefore we all believe that by the end of the mobility Lucie's Slovenian knowledge will improve significantly. 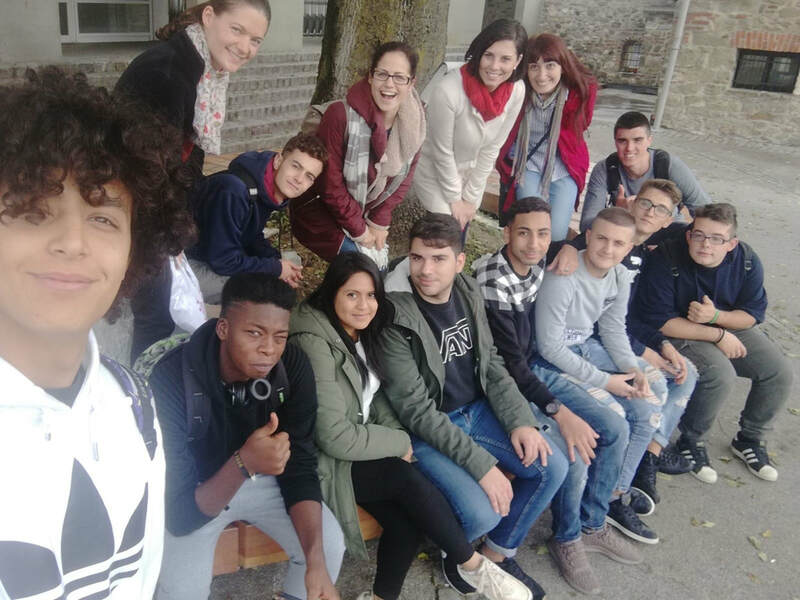 ​Michelle is our participant from Italy who came to Slovenia together with Carlo and Giulia with the same aim to improve his English skills, discover new places, meet new people from different countries and get valuable working experiences for the future. 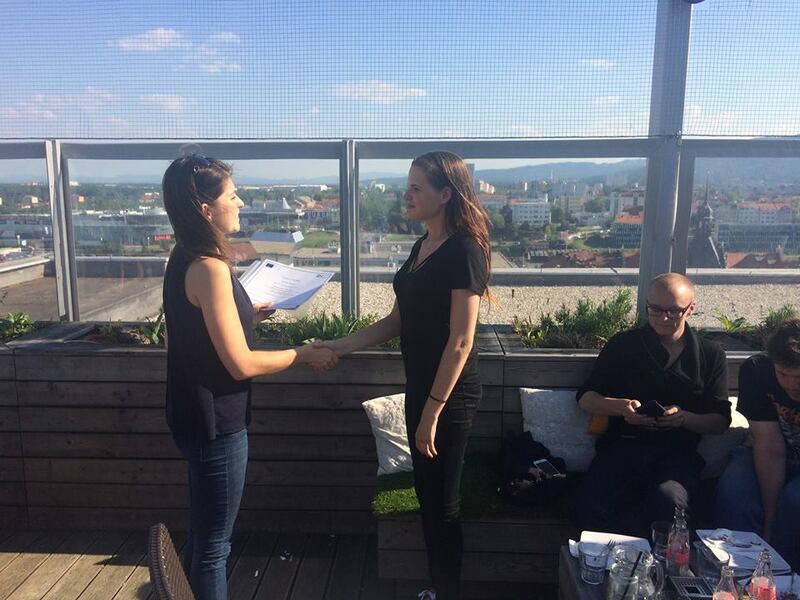 Michelle worked in logistics company in Maribor. From the beginning he was helping with a paper work but step by step when some time has passed he starting doing things by himself. He became a selfconfident worker who didn't have a problem to solve any task given to him. He really enjoyed working in Global Express. Other than that in his free time he tried to travel around Slovenia as much as he could. Usually he went to see new places with Carlo and Giulia. He visited Ljubljana, Ptuj, Bled, Postojna Caves and etc. 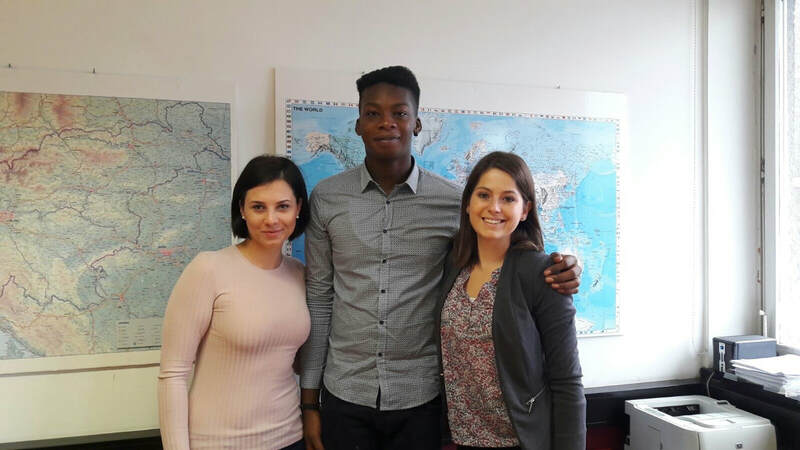 Michelle hopes that staying/working in Slovenia will help him to start his carrer in the international trade field. We have our fingers crossed for him and we wish him good luck. ​Carlo is a rugby player from Italy who came to Slovenia to start his journey to fulfill his dream. He sees his future in the international trade field. That's a reason why he's decided to spend some time abroad, to get valuable experiences. 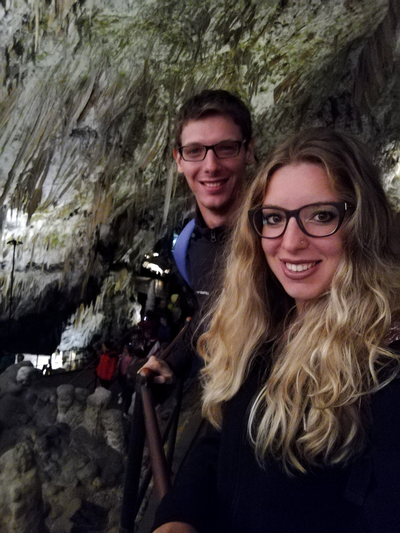 Carlo during his stay in Slovenia used every possible oportunity to travel and discover new things. He visited Bled, Ljubljana, he hiked local mountain Pohorje. He discovered Maribor and found himself a favorite spot. Even though Carlo is a rugby player/lover he went to check one soccer match. Game was in Maribor and match was between home team Maribor and team from Glasgow, Rangers. He really enjoyed the atmosphere. He left Slovenia with a full bag of memories, new friendships and experiences which we hope will help him in the future. 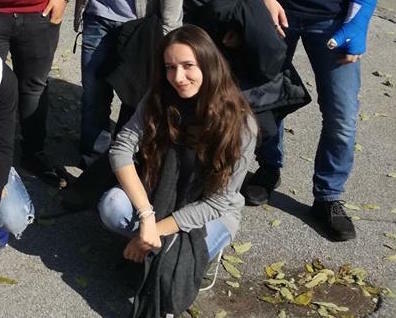 Giulia is our participant from Italy who came to Slovenia to improve her English and learn more office tasks. 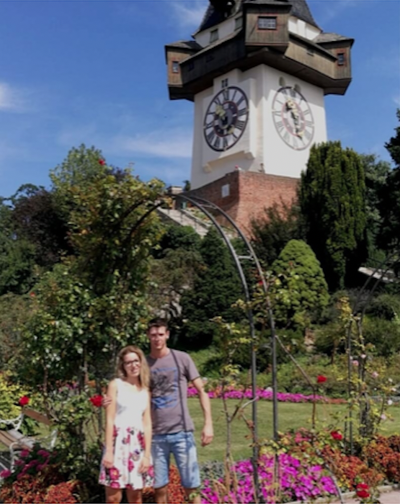 She worked as administrative employee for two years and then she attended a course about import-export which gave her the opportunity to apply for the internship in Maribor. After one week in a company she was moved to MIKRO + POLO where she finished her work practice until September. Her mentor and colleagues were very friendly with her, Giulia was really satisfied with the job because they explained her everything and made things interesting so that she could work with passion. She was very sad to leave her company because it felt like family for her and she wanted to stay in Maribor to keep working with them. At the end of the working experience, her mentor wrote her a beautiful and touching recommendation letter that will be really precious for her future. Daniel is a Colombian boy living in Spain and studying to become a nursing assistant. The love for his job was already very visible at the beginning of the experience, but once integrated in his work placement Dom Danice Vogrinec, an elderly house, he lived some priceless moments, such as walking around the garden with a lady whose smile reminded him why he chose this profession. This job made him feel grateful and blessed for how people enjoy simple things in life, like when his co-worker brought a guitar and they all sang together with the patients. Thanks to his positive attitude, kindness and sense of responsibility, both residents and the employees responded very well to Daniel, who brought really positive energy to the environment. Nicoleta is a girl from Romania who lives in Spain studying administration. She came to Maribor with the desire to mature and improve as a person, discovering what she really wants. 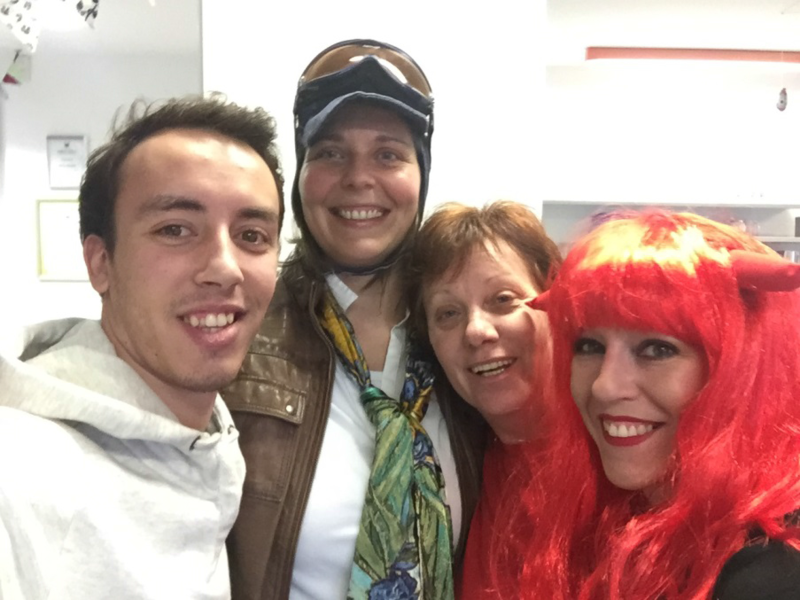 She did her work practice in our office together with other two guys from the Mundus group, Paula and Dario. She improved a lot and became more confident in her abilities and she was very valuable in our team. Nicoleta did a lot of desk work and was very helpful. She enjoyed a lot her time in Slovenia and we miss her and her colleagues as part of our team. 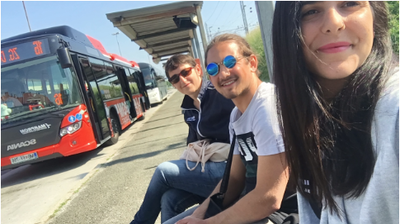 Dario and Paula are administration students from Spain who decided to come to another country with the project Mundus to learn how to speak English more fluently while doing their dream job. They wanted to go out of their comfort zone to see and learn other cultures, languages, people and see things from other points of view. Thanks to their positive attitude and willingness to deal with challenges, we found their help in our office very valuable. 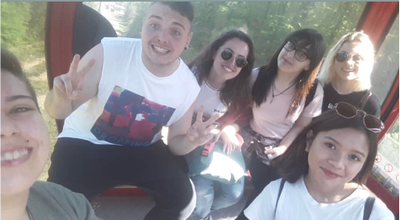 During the work practice, together with Nicoleta from the Madrid group, they prepared all the needed documents for our other groups and the three guys integrated very well with people of different cultures. 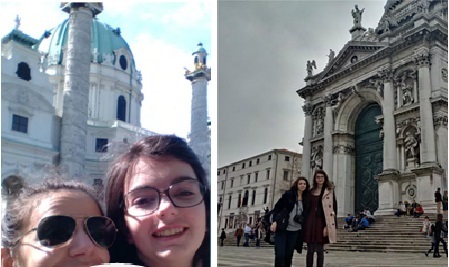 They took many trips to Croatia, Bled, Ptuj, Celje and Budapest. 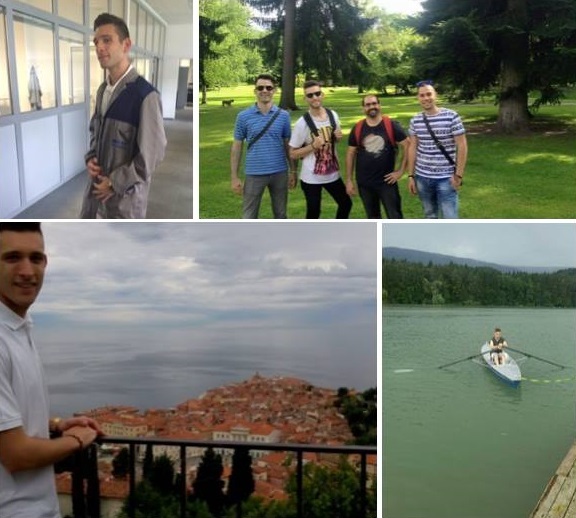 Dario enjoyed so much that he said he would like to find job in Slovenia or Croatia. 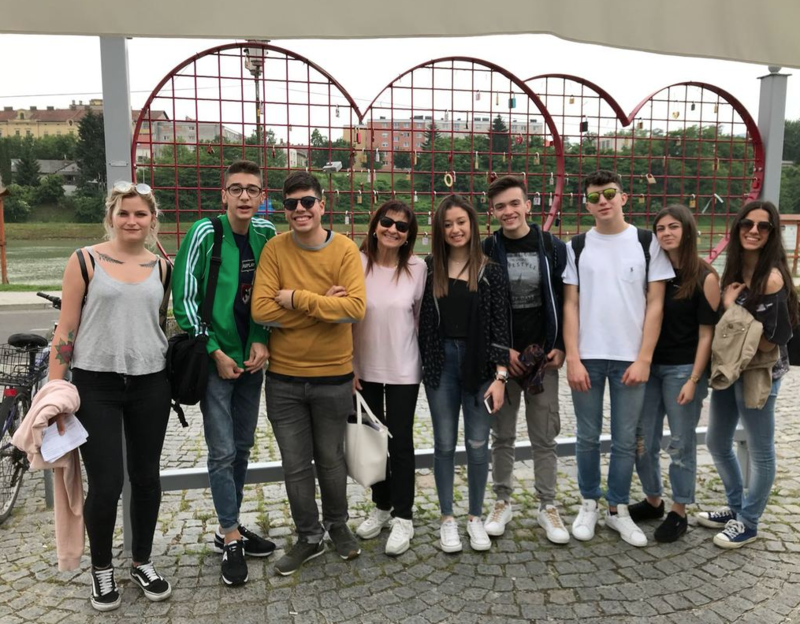 Ana studies tourism at the Technical Commerce School in Bologna and she came to Maribor with other participants from the Italian UNISER group, within their project MG2020. 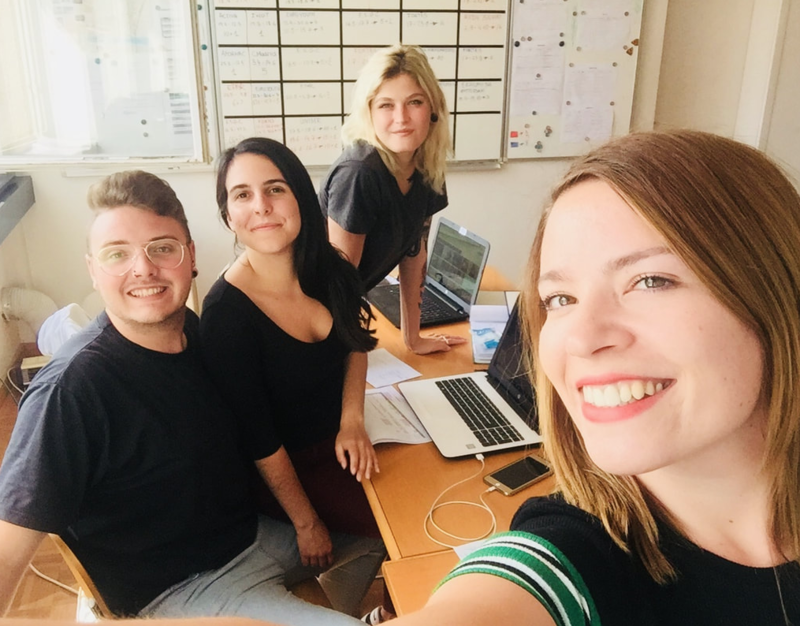 Our ZNI team found her a working position at Rajzefiber biro, which is located in the city centre and provides and produces performative, educational, all-sensual local experience of Maribor. Ana would like to work in tourism, so this job was perfect for her. 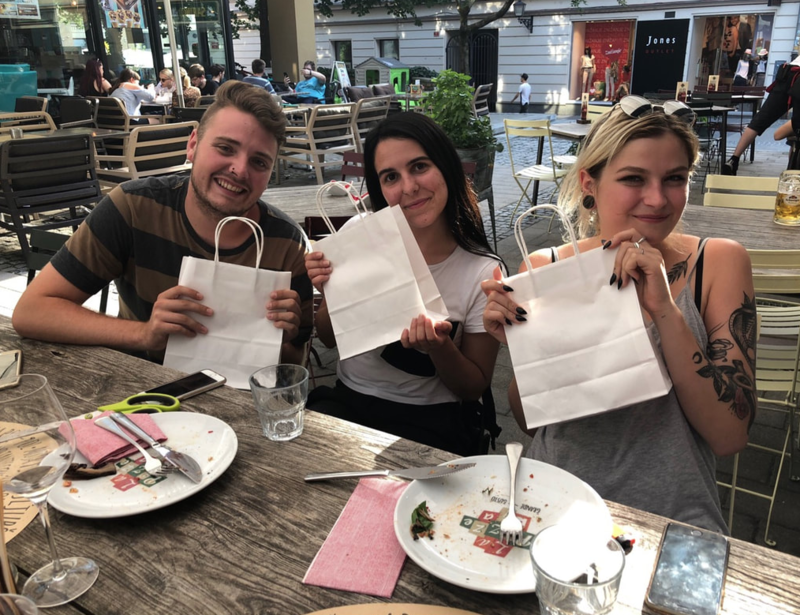 She helped them in their office and she also went to explore Maribor with her colleagues, to learn something new about our city. 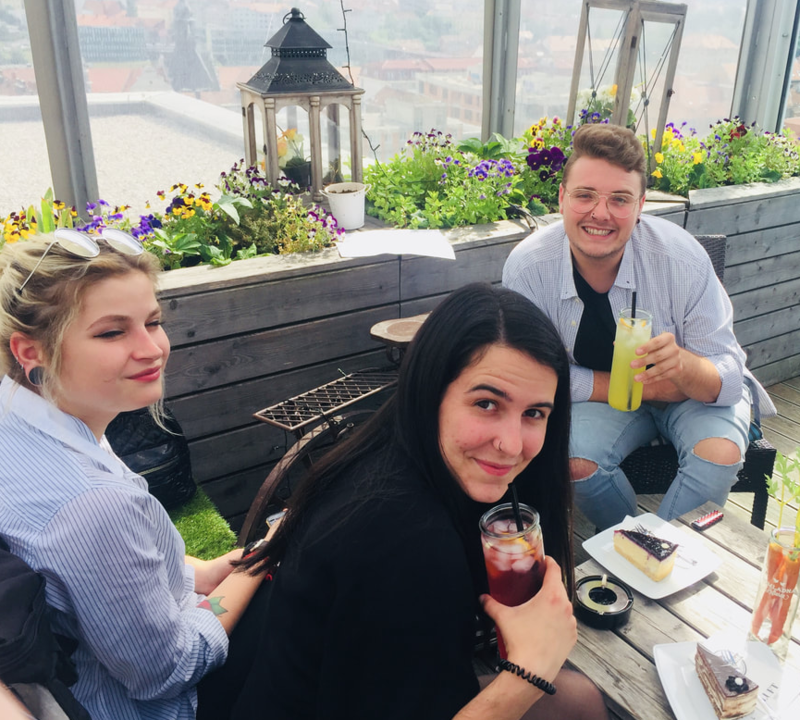 During their time together, they went to the outskirts of the city and to the tower of St. John the Baptist Cathedral, where she had to get over her fear of heights to enjoy the beautiful view of the city. 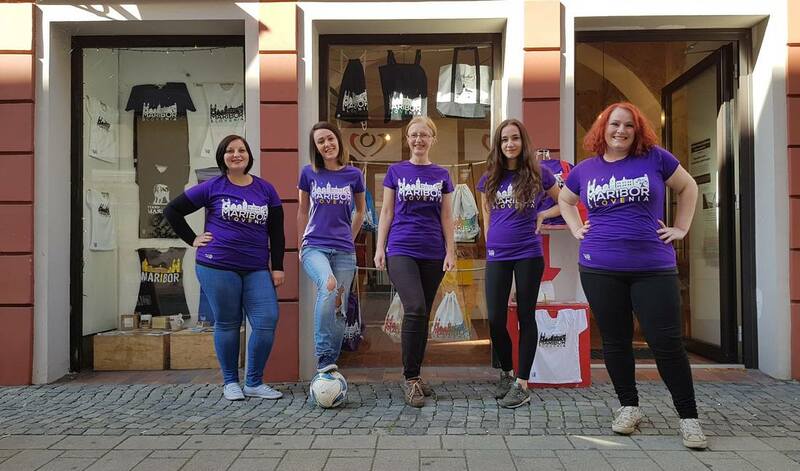 Ana had a great experience in Maribor and in Rajzefiber biro, where she enjoyed working and learning new things. The company said that they will miss her and that they are glad to have met her and we are sure that the feeling is mutual. 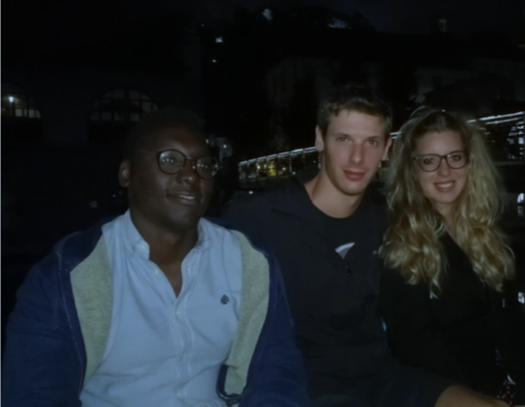 Alessandro is an Italian student of International Relations, whose love of travelling brought him to Maribor. He did his work practice at ZNI, where he helped our team with many different things in and also outside of our office. During his time in Maribor, he spent a lot of time in the city centre and he was surprised by the liveliness of the city and by the Slovenian coffee culture. 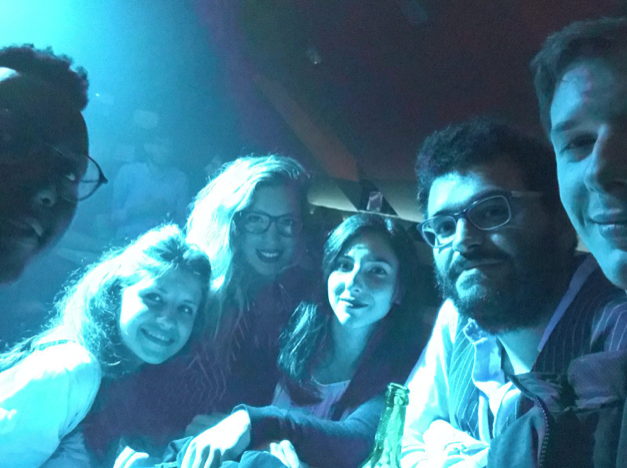 During his mobility, he attended the International Dinner, organised by ESN Maribor, which was held at Štuk, to represent Italian dishes and to socialise with others from Spain, Portugal, France etc. He admitted that he loves Slovenian sweets and that his favourite sweet is our national dish, Prekmurska gibanica. After three weeks, Alessandro went home and we were sad to say goodbye to him. It was a great experience and we are very happy that we got to meet him. 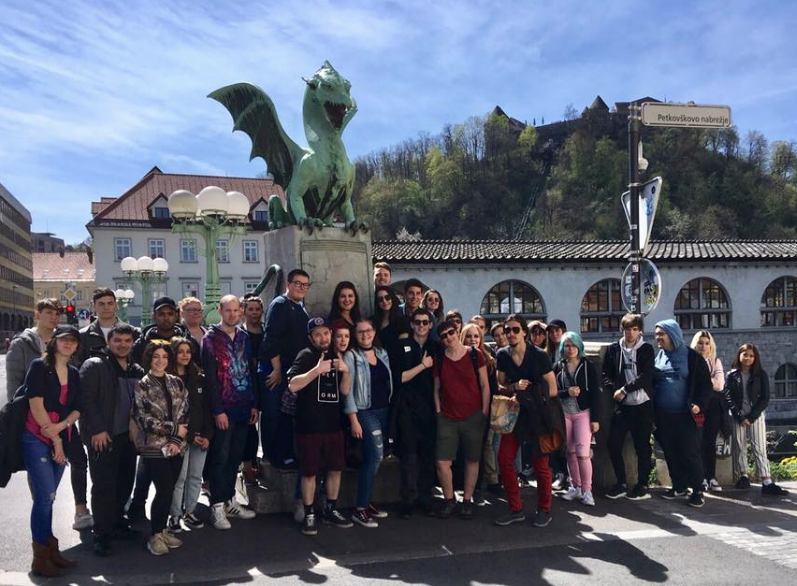 Alessandro enjoyed his time in Maribor and he said that he learned a great deal about Slovenia and our culture, made new friends, developed new skills and that he does not regret his decision to come here even one bit. 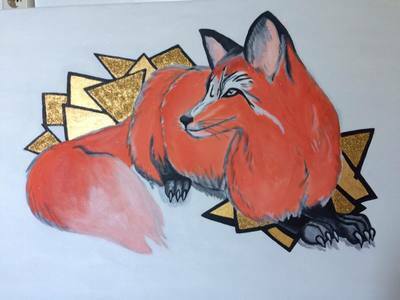 ​This beautiful Golden Fox on the right photo looks like it has been drawn by a professional painter! The author of it, however, is one of our Swedish mobility participants, who prefers to be called Lotta. By cooperation with her group Activa+ and MKC Youth Centre from Maribor, ZNI managed to get her an internship in the Gallery Media Nox, which is located in the premises of the former Synagogue at the Jewish square in the old part of the town. 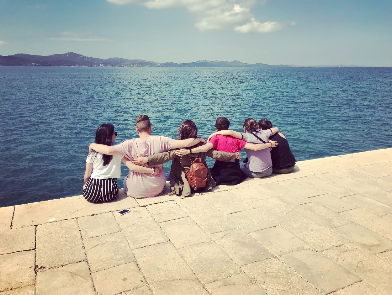 Together with other friends and participants from her group, she also paid a visit to some tourist attractions of Slovenia and nearby countries during her internship, which lasted for almost two full months. 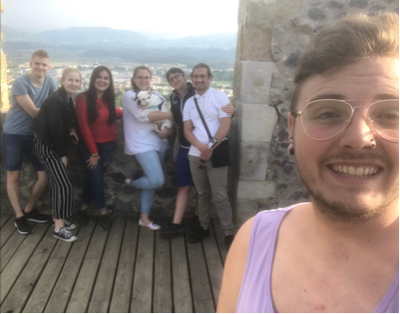 During their first week in Maribor, they explored the town by playing an instructive game under the instructions of our English teacher Luka. Just after the exhibition, the whole group visited our capital city Ljubljana, and during their final weeks, some of them, including her managed to travel to Venice in Italy plus to Croatian capital city of Zagreb. Afterall, who knows when they will get another chance like this to spend some time in the very heart of Europe, where different regions, landscapes and nations lie so close to each other. Before going back to Sweden, she also expressed the wish to be able to stay there even longer. The same thing goes for most of the other Activa's participants. 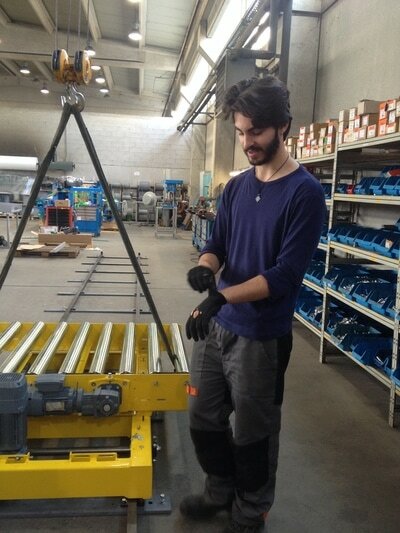 Mattia studies in Bologna to become higher Technician for automation and mechatronics systems. 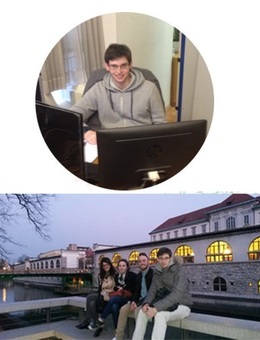 As a member of the UNISER group he came to Slovenia within their TechNet 2020 project for a six-week-internship. 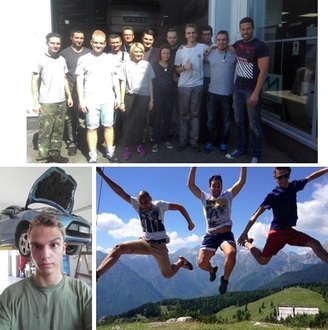 Our ZNI institute found him a working position in the company Goldpack, located in the town Hoče near Maribor. He was given the work in the assembly department, where he firstly began assembling components on his own and then learned a lot about mechanical tools,soon becoming able to do some projects on his own, together with his co-workers. They already miss him, since his internship was finished in the middle of May and he went back to his home land Italy. Maura also comes from Portugal and from the group Euroyouth. 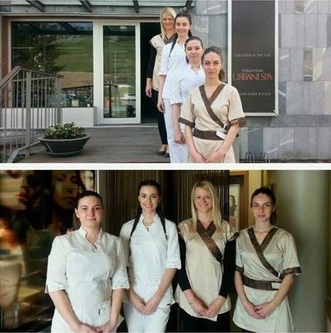 With the help from our institute ZNI she got an internship in Hotel Betnava. As a receptionist she made sure that the rooms were tidy for the guests and helped the hotel employees by decorating the hotel. She was happy with her duties and co-workers, only for the first days after arrival she felt a bit cold, since she was not used to cold winter temperatures in Slovenia. Since many guests used to arrive into hotel for their check-ins on weekends, Maura often spent those days at work. One of her most memorable events during the internship was the one with the football players of NK Maribor, who spent some days there. Maura had a chance to talk with the captain of the team, Marcos Tavares. Since he comes from Brazil, they both were able to speak their natvie language to communicate. 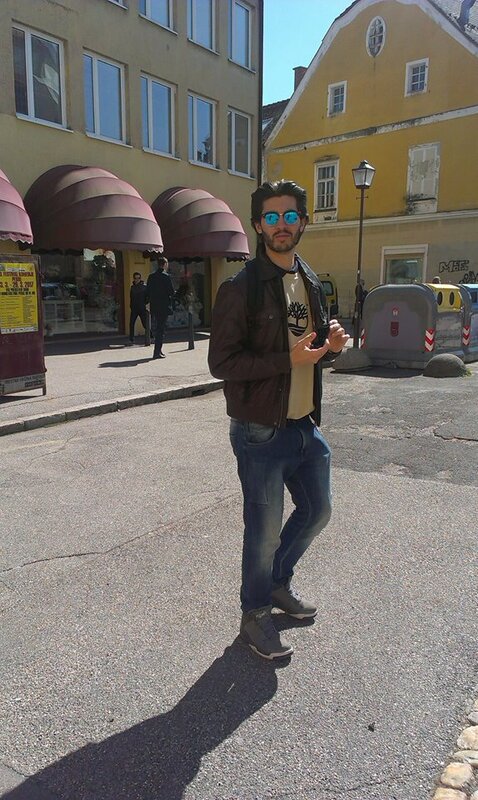 ​Diogo is our participant from Portugal, who came to Slovenia within the group Euroyouth. Our institute ZNI provided him an internship in the MKC Hostel, where he spent his weekdays working in the reception. His tasks included all kinds of work like cleaning the kitchen and tables, welcoming the guests who come mostly from abroad, serving them breakfast and finding new ways to keep them entertained. His main project was the creation of the game called treasure hunting, under the supervision of his mentor, miss Zdenka. He got along with her and the other staff of employees very well. 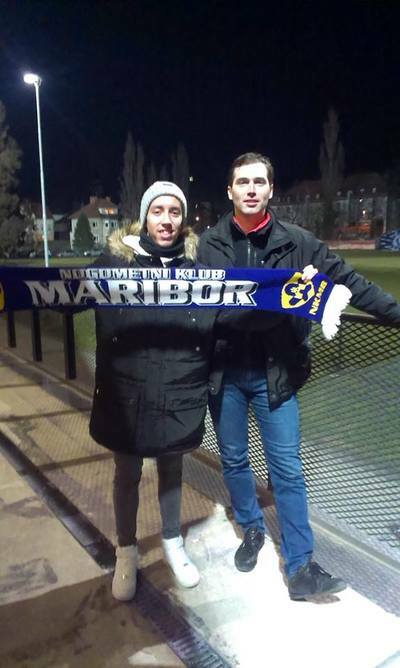 As a big football fan, he also discovered the club that the people of Maribor are very proud of - the football club NK Maribor, and paid a visit to its stadium, Ljudski vrt to see a couple of football matches with with other fans of this club. 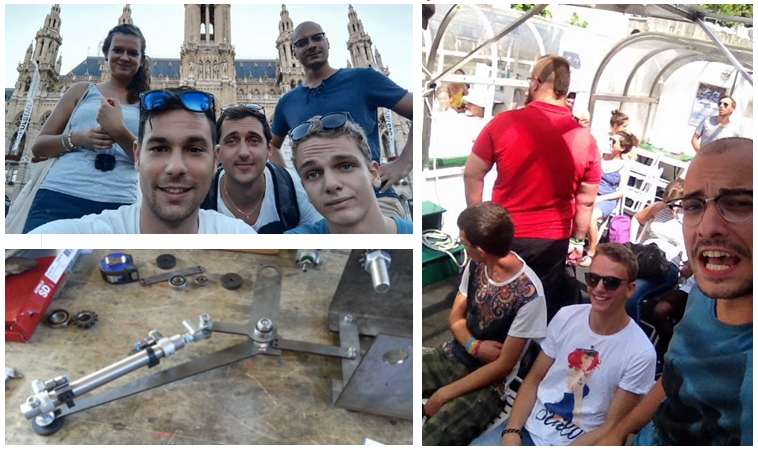 ​Our participant Marco from Italy, which came to Slovenia thanks to our cooperation with our partner Uniser has started his working experience last week in company Peloz d.o.o. based in Nova Gorica. The main business of the company is meat production. The meat products of the company are winning ever-increasing recognition across Slovenia. Marco worked in the production department and helped to produce salami, ham, sausages all well known around Slovenia. Fabio is our participant from Italy who came to Slovenia thanks to cooperation with our partner Uniser. In these days he is starting his second month of internship in Slovenia. ZNI provides him a work placement in the Product Marketing area in company Zlati grič d.o.o that focuses on wine producing and also serves as resort for vacations. Fabios duties in the company are working in all production sites of the company, helping with marketing issues of the company, web site translation into Italian/English or selling the products in a company shop, etc. 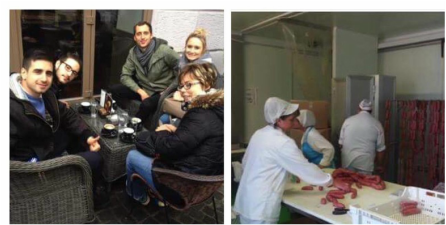 Besides the experience in his major he is also gaining the experience in the wine business – he is learning about wine processing methods and he had also opportunity to speak with visitors from Italy. He showed them the surroundings of the company, presented them the company products and also sold some of them. Fabio is glad to work in a friendly atmosphere where his co-workers and also his tutor are kind and from the first day are trying to help him to feel comfortable in the new environment of the company. 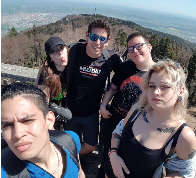 During his free time his friend and parents from Italy came to visit Fabio and he was discovering also other places in Slovenia like Celjle, Ptuj or Maribor with them. Elisabetta, from Italy, has chosen Maribor to earn new experiences in coordination with ZNI, in a retirement home called Dom Danice Vogrinec. Her duties during the week include work with elderly people, helping them with everything they need. She also follows the rehabilitation therapy of one of the residents. Sometimes she attends the classes in Day Care, where she helps the patients with some memory exercises. Her presence in Dom Danice Vogrinec is really appreciated by the residents, as they like having a new person there and especially because they have opportunity to learn some basics in Italian language. 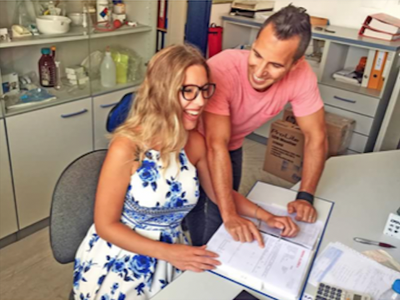 Elisabetta really likes working there, for she has the possibility to see how this type of work is done and to learn new things to improve her capabilities. In her free time, she likes to discover the city of Maribor and other places in Slovenia. 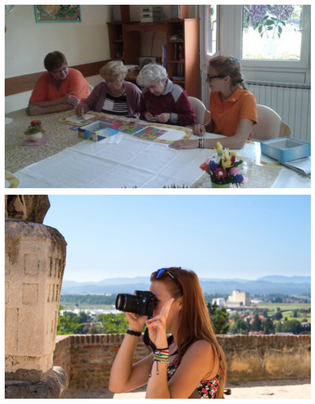 She already visited Ptuj, Koper, Bled, Bohinj and Ljubljana, enjoying so her hobby of photography. 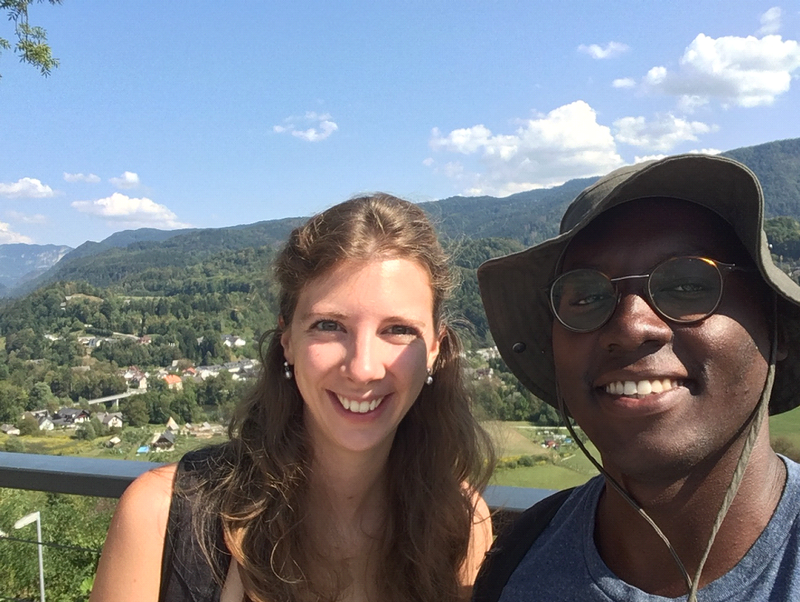 She loved staying in Maribor, making new friends, learning Slovene language and developing new skills in her field of work. Pietro is an Italian participant from Uniser Projekt ITS+, that in coordination with ZNI spent his summer in Maribor, working in a production area of the company Zlatorog Oprema. His duties include manual work like assembling mechanical components, as well as administrative work, such as preparing files for the clients. He finds his work very interesting and keeps asking his mentor and co-workers for more and more duties. He has also enough time to work on his personal project, where he can use his theoretical skills gained during his studies and turn them to the reality. 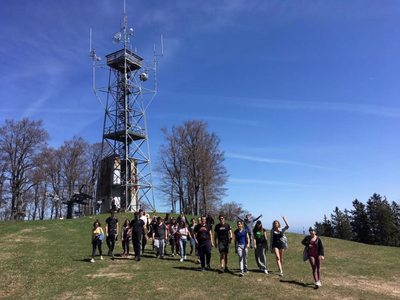 During last month he also joined other foreign participants in discovering different parts of Slovenia like its capital city Ljubljana, Koper and Velika planina and he also made a trip for a weekend to Vienna. According to his reports, he has already gained lots of confidence by working in a foreign environment and socialising with new, mostly foreign people and also these activities have turned him from a quite shy to more confident and open minded person. These types of experiences can sometimes be even more valuable and important than the practical ones. 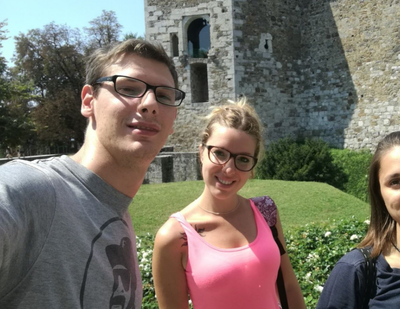 Michele is our participant from Italy to whom ZNI provided work placement in one of the leading European and global corporations in the field of Automotive technologies and Industrial technologies, HIDRIA in coastal city Koper. Michele says that he really likes his job because it fully reflect his student profile and he also speaks very positively about his tutor in the company, which makes his working tasks very various, so Michele can get to know as much as possible from the whole company. Luca is an Italian student who graduated in Marketing and Communication and with the Erasmus+ project choose to do his internship experience here in Maribor. ZNI found for him one of the youngest and most dynamic marketing agencies of Maribor. 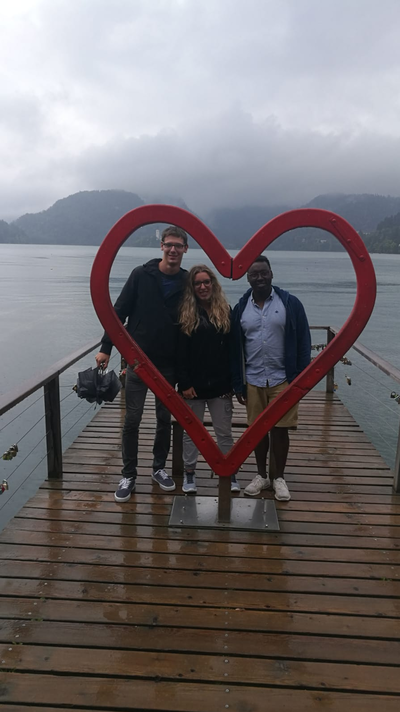 Niko and Rasmus are students of Raahe Vocational Institute from Finland and they have chosen Maribor, Slovenia for their destination for placement within Erasmus+ program. 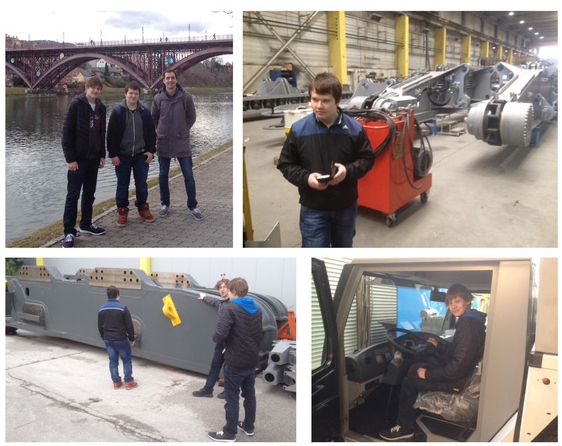 They are Mechanical fitters and have been involved in Maribor's best metal work companies. Placements and hosting program have been organised bye ZNI Institute. We would like to present you our participant Meeri, a student of Hyria Education (Security Officer). 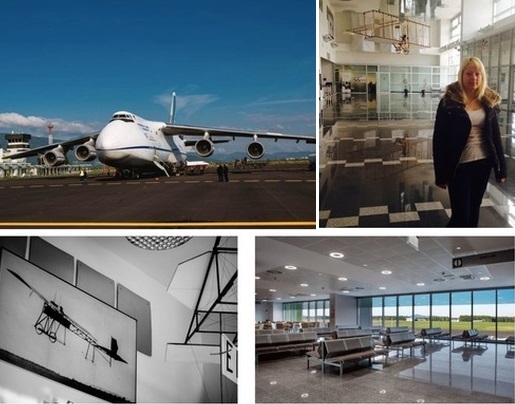 She comes from nearby Helsinki, Finland and she is having her Erasmus+ internship in Maribor, Slovenia - she is involved in Maribor Airport's Security Team. ​Placement and hosting program have been organised by ZNI Institute.